The 3M 8271, P95 particulate respirator is recommended for grinding, sanding, machining, and other dusty or oily applications. A faceseal and M-nose clip provide a good fit, while the 3M Cool Flow Exhalation Valve and Advanced Electret Media keep the respirator cool and comfortable. Made in USA. 10 per box. 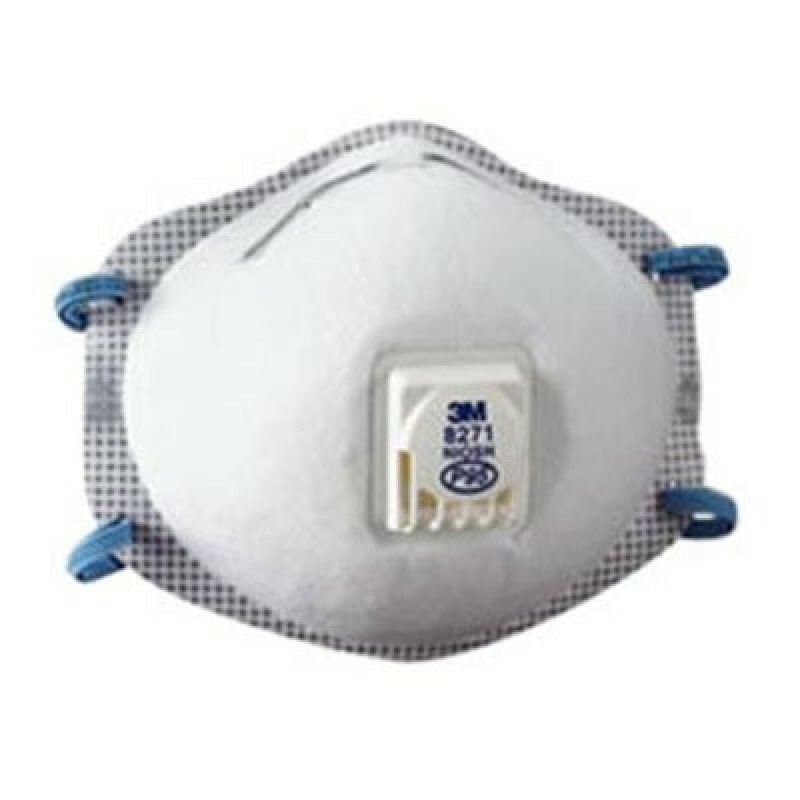 3M Particulate Respirator 8271, P95 is a disposable particulate respirator that helps provide reliable respiratory protection of at least 95 percent filtration efficiency against certain oil and non-oil based particles. Soft inner material provides added comfort while the cup shape design helps make the respirator feel spacious and durable. An adjustable M-noseclip is designed to help enhance user comfort and increase wearability. The respirator incorporates 3M’s proprietary technology with advanced electrostatically charged microfiber filter media designed for ease of breathing. Braided headbands with two-strap design and dual point attachment helps provide a comfortable and secure seal. Fitted with a 3M Cool Flow Exhalation Valve, this respirator is suited for work situations involving heat, humidity, or long periods of wear. The proprietary 3M Cool Flow valve is designed to release hot, humid exhaled breath quickly, helping to prevent an unpleasant build up of heat inside the facepiece and increase comfort for respirator wearers.